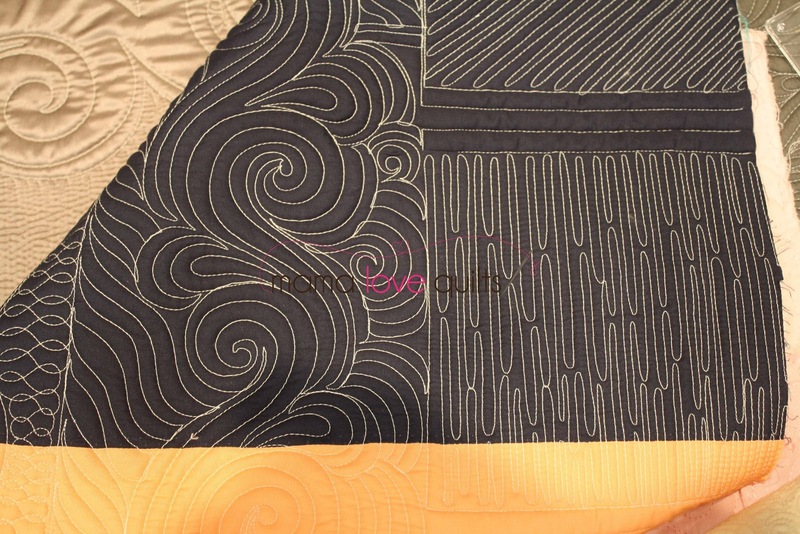 On the last day of QuiltCon, I took a machine quilting workshop with Angela Walters. I got the chance to see Angela’s work in person and learn how she works her magic with needle and thread. 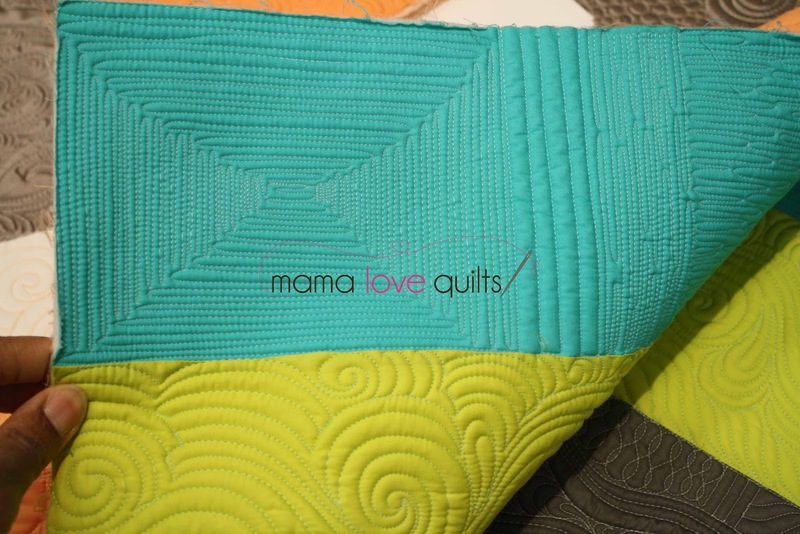 Although I have her book, Free-Motion Quilting with Angela Walters, it was so helpful to have her walk us through quilting designs step-by-step. 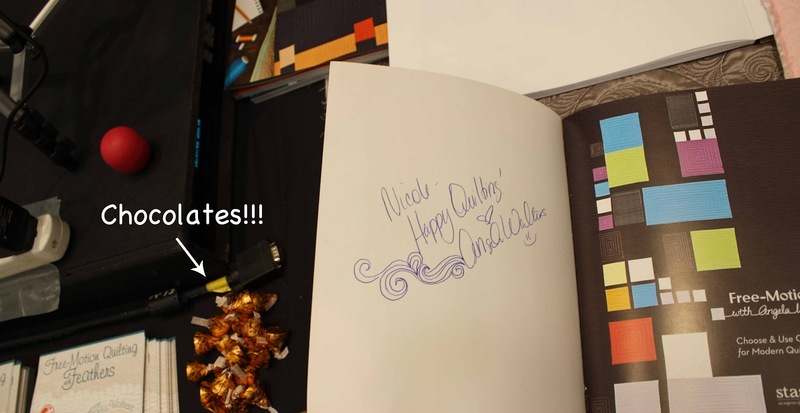 As a bonus, she also went over a few designs that are not in her book. Here she is signing my copy of her book. Can I just say that Angela is super nice and down to earth?!? She even gives out chocolate! What’s her secret, you may wonder? Practice! I wish there were some easy tip or trick to her magic, but she’s been quilting for 10 years. So, if I keep at it, my FMQ will look that awesome some day, right?!? Thanks so much Nicole! It was great to meet you!! Have so much fun while you practice and quilt!! Were those samples done on a home machine, or a long arm? I got to test out a long arm at my LQS this weekend–it was amazing. I may need to take the class so I can rent time on it. Soooooo much faster and easier and nicer, wow! 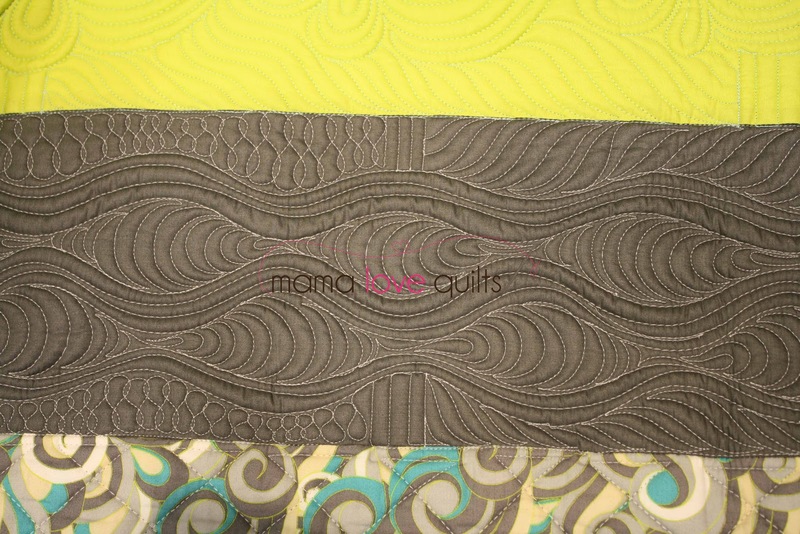 Your fmq will totally look awesome! It was a fun class and so nice to meet you in person finally too. I am spending a lot of time measuring spaces and researching long arm machines now. Nicole, was this the class you had to run to on Sunday? I was in the Saturday class. When I get a moment, I'm going to start her craftsy class on feathers. Megan is thinking about it, too. I still have QuiltCon posts to go up but I just want to sew! Yes! You can do it – keep practicing! Gorgeous! 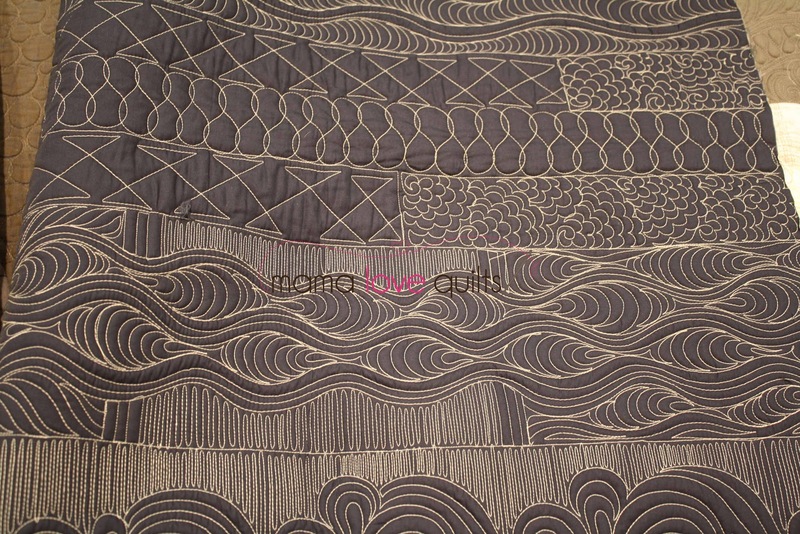 My problem is that I don't want to do my ugly FMQ, I just want it to be perfect and gorgeous straight away!! I should know by now we all have to start somewhere – usually at the beginning! How lucky are you?? I can't wait to see what you do with all your new knowledge! So glad you were able to take her class Nicole! I just sat in on her lecture and was completlely in awe! Just keep making those beautiful quilts of yours and you'll have plenty to practice with! Unbelievable — what an inspiration! Perfect class to be in given your new toy! Practise will do it for you. Stick at it. I am sooooo envious of you taking a class with Angela. She is my quilting guru. 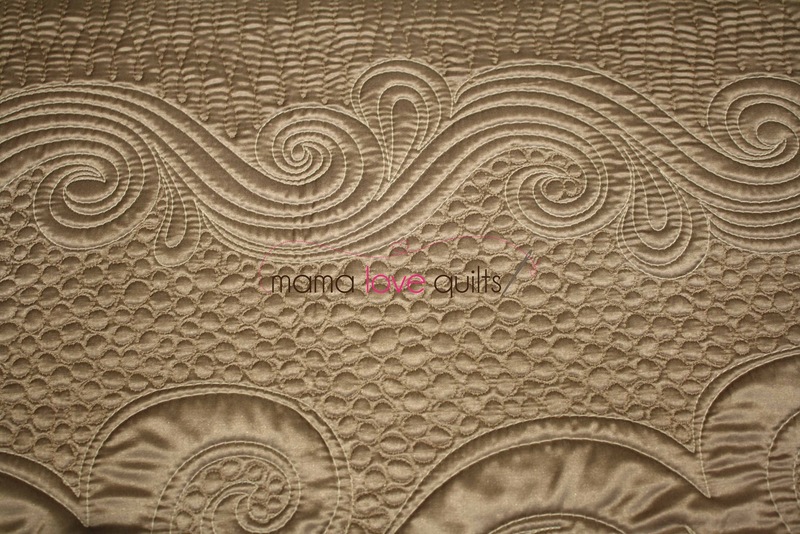 That quilting is…….words fail me! Wow! I'm stunned at how fantastic it looks. Enjoy your practice! Its that old adage of practice makes perfect. Yep, 10 years from now you will have it masted too! So keep on practicing it really does work!